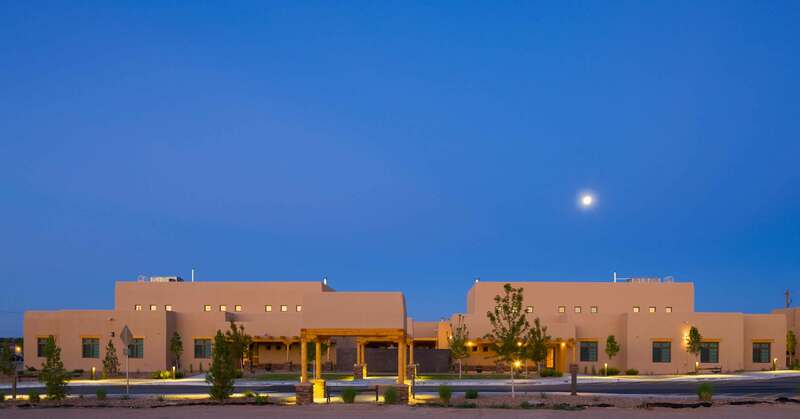 The design of the Pueblo of Isleta Assisted Living Facility and Elder Center complex creates a small planned community for the Pueblo’s elderly residents and facility staff, which blends with neighboring homes. 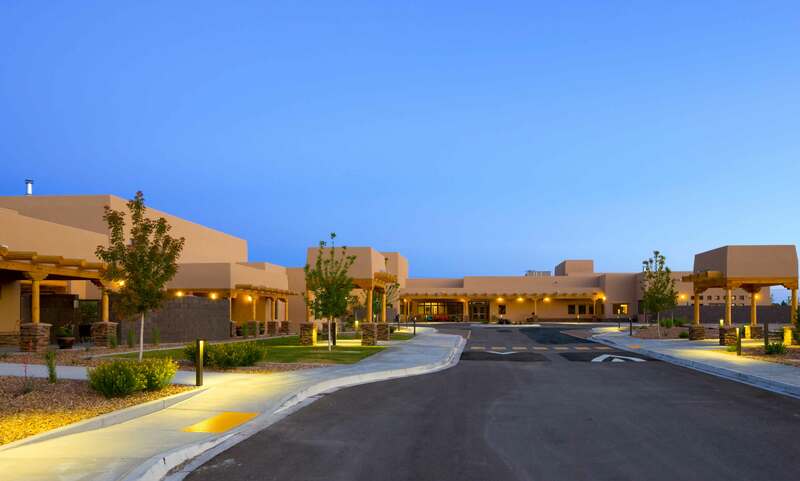 The 15,170 sf Assisted Living Facility is comprised of two sets of private living units, separated within the building by the level of care required. 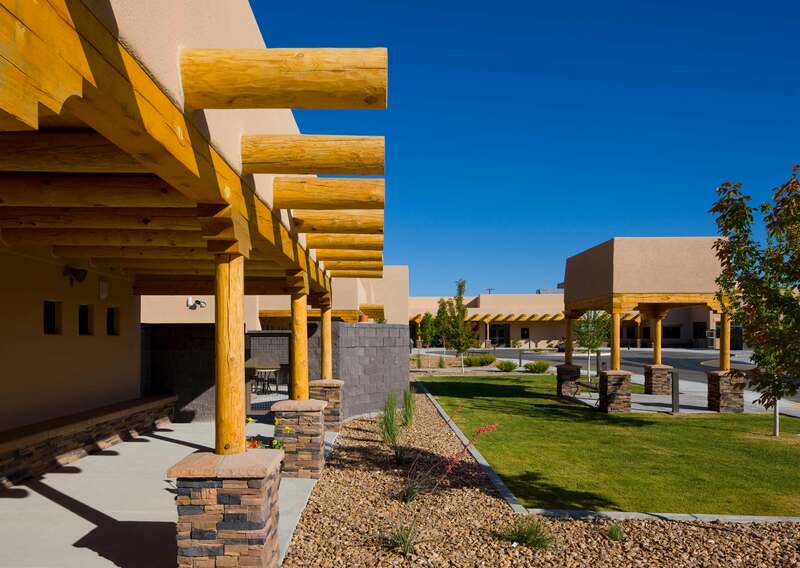 Each unit houses 10 residents and offers community living spaces, recreation/social spaces, community dining area, and indoor sun room that overlooks the outdoor patio. These units are joined by a Traditional Room, designed for ceremonies and other events. This space includes a separate kitchen, kiva fireplaces, and nichos for the display of Pueblo art work. Computer stations equipped with the internet and Skype services are available to help the residents stay connected. 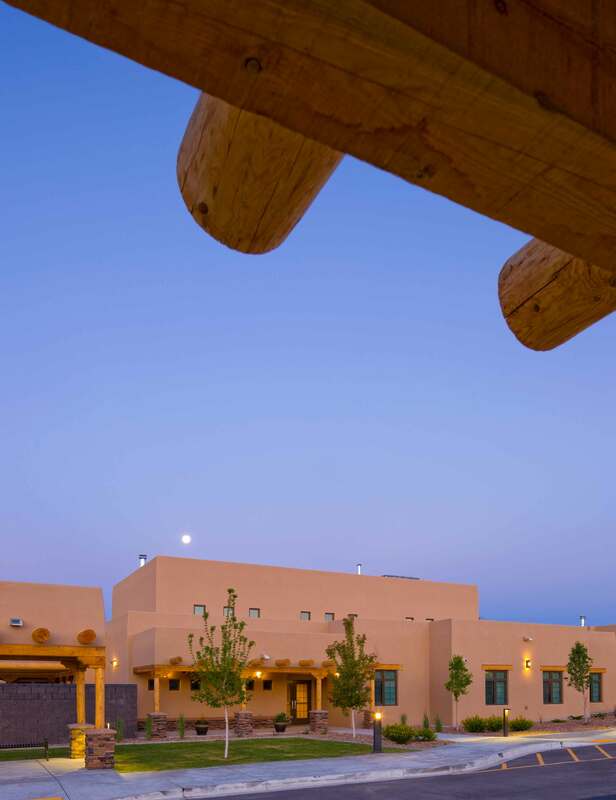 The 15,990 sf Elder Center is designed to engage the residents of the complex with indoor and outdoor recreation activities maintaining a community environment. 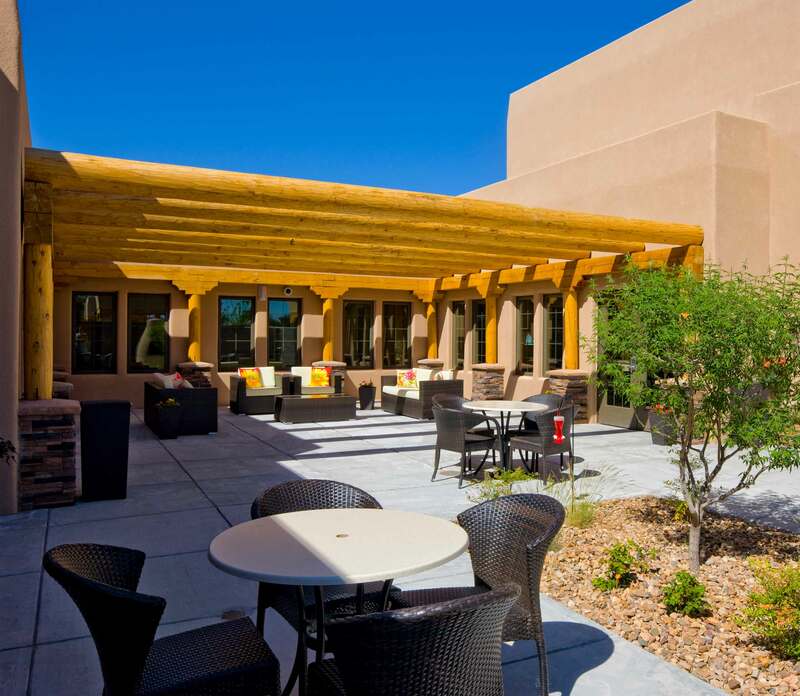 Outdoor basketball and shuffle board courts are balanced by indoor amenities such as a workout space, ping-pong and pool tables, and an adult day care suite that offers arts and crafts, sewing, and a hair salon. 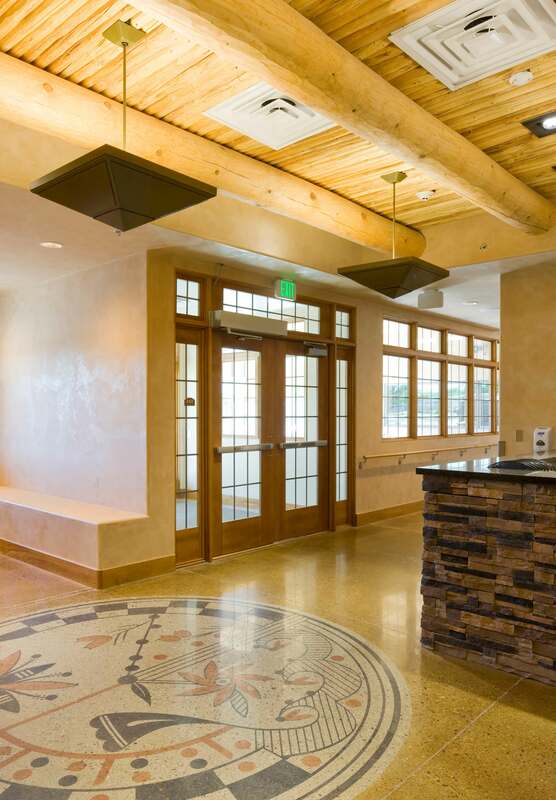 The Elder Center is equipped with a commercial kitchen and a dining area that can serve 100 people.